Everyone loves a good sale. 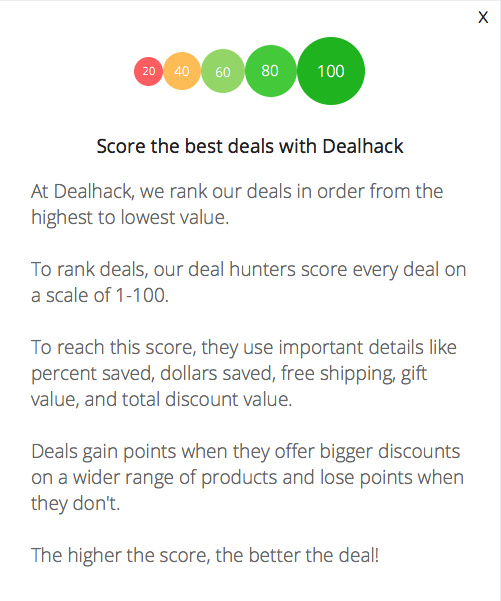 Here at Dealhack, we’re no different. That’s why we’ve made this page – to share with you all the best sales we’ve come across. We scour the web day in and day out, and every time we uncover a sale, we share it with you right here on this page. These sales do not require a code to claim them. Simply pick the sale you wish to shop at, and follow a link to the store page to get more details about how much you can save. Coupon working on June 1, 2018. Working on May 18, 2018. This coupon is working on April 29, 2018. Coupon works April 14, 2018, thanks! Coupon works July 24, 2018, thanks! Coupon working on July 20, 2018.